Formerly recreated as Rajit Kapoor’s middle aged adaptation is a satyanweshi (seeker of truth), and now brought back as a just-out-of-college youngster Byomkesh, Sushant Singh Rajput perhaps plays a younger personification of the character, who’s probably still to become a truth seeker. This same undercurrent is the constant throughout the film. The young Byomkesh is approached by Ajit (Anand Tiwari) to solve the case of his missing father. He displays the socially inept mannerisms of the BBC’s Sherlock, and ends up coming across as a complete tool. Byomkesh’s charm isn’t as beguiling as that of a classic noir’s private detective. He isn’t even super-smart at picking up clues, yet he figures out there’s more foulplay to the disappearance than what appears on the surface. Bakshy begins the search for Ajit’s father and ends up at a boarding house run by Dr. Guha (Neeraj Kabi) where an eclectic assortment of young and old Bengali men are put up. Ajit’s missing father had lived here for a healthy span of time and everyone, right from his paan-addict roommate Ashwinibabu (Arindol Bagchi) to Kanai Dao (Meiyang Chang), is a potential suspect. And similarly, every one of them is quite a quirky character. Puntiraam (Pradipto Kumar Chakraborty) is a domestic help whose hands tremble right until the gory end. Thus showing Dibakar Banerjee’s undying affinity towards detailing. The same eye for detail, along with Nikos Anditsakis’s masterful cinematography, creates a picturesque composition of scenes and shots in the meticulously recreated Calcutta of the 1940s. The second world war is still on, and the Japanese and Chinese forces are eyeing infiltration on the eastern end of India. The foreigners don’t speak chaste Hindi, they interact in their own languages, unlike the ridiculous expatriates of the older Hindi films who were freakishly good at Hindi. Authenticity of the war period is never compromised even in this fictional universe. The film is richly textured as almost a Hollywood film with the color palettes in use. There are hardly any real locations and thus there is an abundance of wide shots, often tracked through very long and short distances as well. The film’s dialogue is reminiscent of a bygone era, yet it doesn’t go overboard. The pace of the film isn’t breakneck, and it is only fit for a story where the makers are going from creating a sense of mystery to making the viewers care to be seated in their chairs to patiently wait for what happened and who’s pulling the strings of a complex mob that’s probably in cahoots with Japanese forces. The mystery seems to be solving at the halfway mark, but our Bakshy, with a unibrow, isn’t the brightest detective in the world currently. There are a bazillion flashbacks to ease the putting-together of the clues for the protagonist and us, but this pattern becomes increasingly intolerable and plodding to watch. Every suspect gets a special flashback of the clues, and the protagonist is trapped by the antagonists quite a lot more times to make the plot seem like a convoluted mess. The performances of Anand Tiwari and Neeraj Kabi shoulder the film tremendously well. Both of them put up a glowing display of their acting chops. My favorite music composer, Sneha Khanwalkar, collaborates with indie acts and renders a fresh new-age background score and theme to the film, which isn’t necessarily optimized to its complete potential. The action sequences are limited and slickly choreographed, yet the antagonist never physically grapples with Bakshy. Hence, summing up the general apathy towards the climax of the film. The only silver lining in the survival of the villains and the constant silly pitfalls of the young detective is that this film is probably like a prequel for another film. 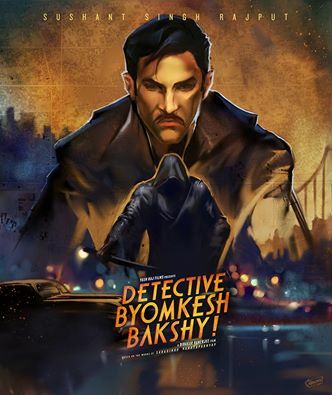 Banerjee seems to be laying a foundation for a series of adventures and cases to be solved by Byomkesh in the future. DBB, the film, is just like Sushant’s woefully flawed Byomkesh. Even if it doesn’t grow into another future installment, this film warrants a patient watch for its brave effort. Supermen of Malegaon is basically an inside view of the micro-filmmaking experience. Nasir has a strong affinity towards Hollywood, he admires their techniques and innovative methods through whatever he got to watch in his semi-video library. 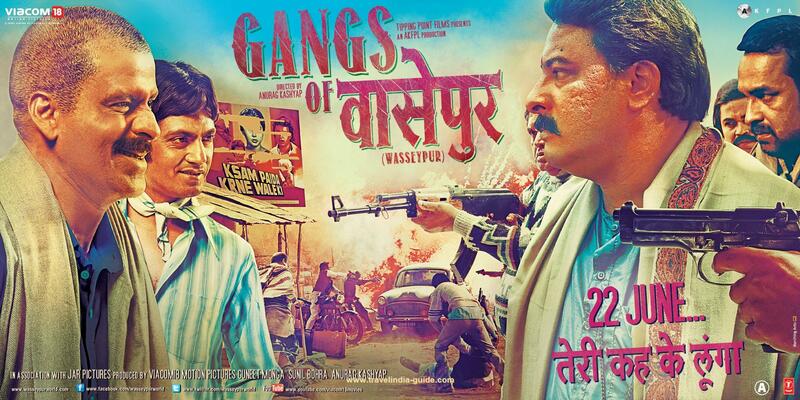 He’s made a film that parodies the classic Sholay, and names it Malegaon Ke Sholay. This time, he ventures to make a spoof on Superman. He symbolizes the films made in Mollywood, i.e. Malegaon’s filmmaking unit. Malegaon enjoys its bereft remains of cinema and the entire town runs on the handloom industry. Probably, any other village with the impending issues of job insecurity and power cuts. Nasir gets his quartet of writers to make the story ‘as strong as possible’ and presents two contradicting styles in Akram and Farogh. The former believes in a commercially viable, action-impact brand of writing and the latter is the embodiment of the content driven, character loving philosophical style. Akram multitasks as per the evolving needs of the inner workings. Akram plays the bad guy of the film, mixes sound, sings, dubs and shaves his head. Shafique is our finalized Superman with a frail bodyframe. He knows that this is just a small step in his long way to his imagined success. Nasir keeps reaffirming that the entire filmmaking scene is his hobby and not a career alternative because he doesn’t hope to sacrifice his own vision by working with a more hundred people. Each character has certain dreams and aspirations, to make it big in cinema or monetarily. The entire filmmaking experience is delightful to say the least. It shows you the difficulties faced while handling the camera and collecting funds and small-time maverick ideas by the makers to incorporate maximum ‘flying sequences’ of the Superman, because, why else would the audiences watch a film titled Malegaon ka Superman (Malegaon’s Superman) – along with the under-developed social and psychological ideologies of the majorly Muslim populated place. A special mention to the couplets in Hindi-Urdu that exemplifies almost every village in India. Supermen of Malegaon puts forth a mix of social pathos and highlighting of ordinary Supermen living even in the most conflicted regions. 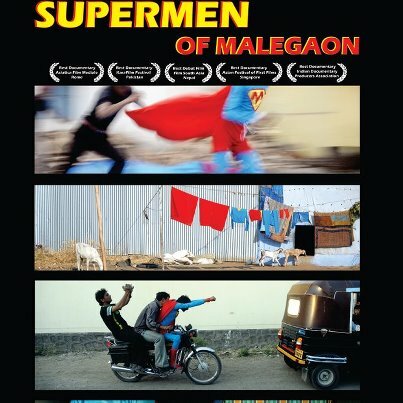 Supermen of Malegaon also shows you how cinema – even after hundreds of years – still remains one of the most emotionally releasing and stimulating mediums of harmless intoxication for the working classes and the oppressed. It is a shame how this gem of a piece waited for years before seeing the light of the projecting rays in India, even after going through various film festivals. It’s depressing how the ever-smiling Superman, Shafique isn’t alive to see the adulation that he longed for. Supermen of Malegaon is not a regular experience, watch it while it lasts.